Stick to your running routine this winter. 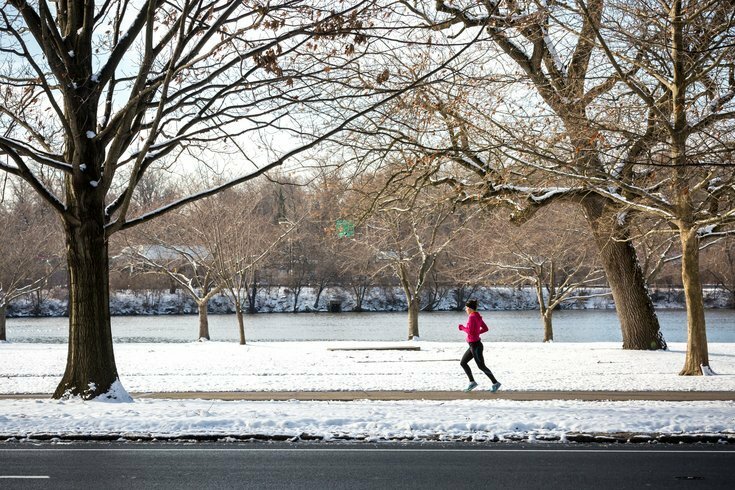 Even though it’s winter, and most people can’t stand to be outdoors longer than utterly necessary, dedicated runners, bikers and walkers are out every day on Philly’s trail system, including the Schuylkill River Trail (SRT). The Schuylkill River Greenways National Heritage Area — the organization in charge of the trail's 120 miles, spanning five counties — just announced it will step into the New Year with a new website, including mobile-friendly features. 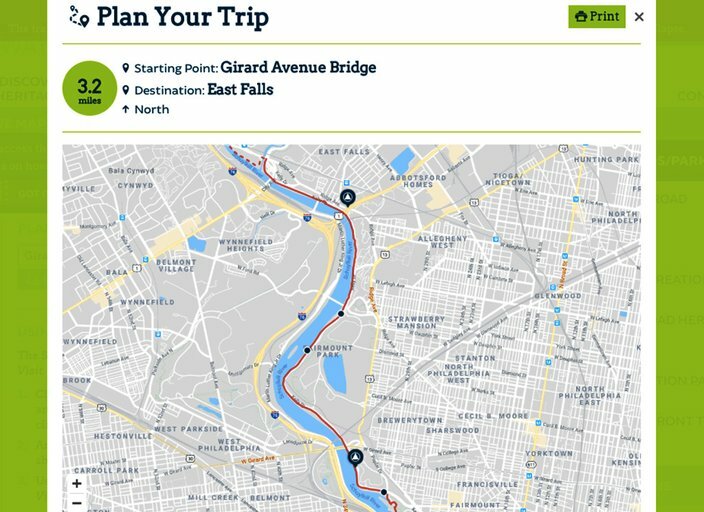 The reworked schuylkillriver.org now joins two sites into one with bonus features, including a prominent alert on the site anytime a trail, or section of a trail, is closed. Helpful stuff for trail dwellers! The most exciting aspects of the website redesign, however, is the interactive Schuylkill River Trail map. It can be accessed on the home screen by scrolling down and clicking the button on the Schuylkill River Trail photo, or by going to the Schuylkill River Trail top menu and selecting “Interactive Map” from the list. And yes, there are pop-up instructions on how to use it. Using the interactive map is as easy as entering a starting trailhead and a destination trailhead. It points out restrooms, parking and restaurants along the way. Through the interactive map, users will be able to plan their trip on the trail ahead of time on their mobile device or computer. To do so, trail users can select a starting trailhead and destination trailhead to view a detailed set of printable directions for their journey which tallies the total miles and provides a photo of the map route. The directions also include helpful information like a list of amenities for each trailhead along the route such as parking availability and restrooms. The map will also feature quick-link icons highlighting trailheads, towns and places to visit along their trip. This is perfect tool for those who want to experience a new part of the trail, but are nervous about their navigational abilities. Information about the Schuylkill River Greenways’ current and upcoming projects, including conservation efforts and programming, are also featured on the site.